For information about running a book drive (see our suggestions here) or installing a Book Baskets basket at your school, please contact us at the e-mail address below. Baskets, posters, and book pick-ups can all be provided by Book Baskets. 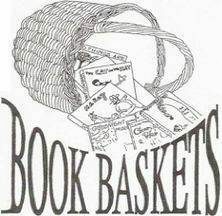 If you would like to make a monetary donation to Book Baskets—thank you! We are deeply grateful for every contribution. Our overhead costs are extraordinarily low—only 4%—thanks to the volunteer work of our Book Baskets board members and the many volunteers who help collect books at area schools during the school year.